Locks are used everywhere, but they are not all the same. In fact, even the shape of the lock changes, sometimes for no other reason than geography. The variation can complicate the most basic access control designs, and not being aware of the differences can result in costly mistakes. In this guide, we examine why they differ, and where they are used. 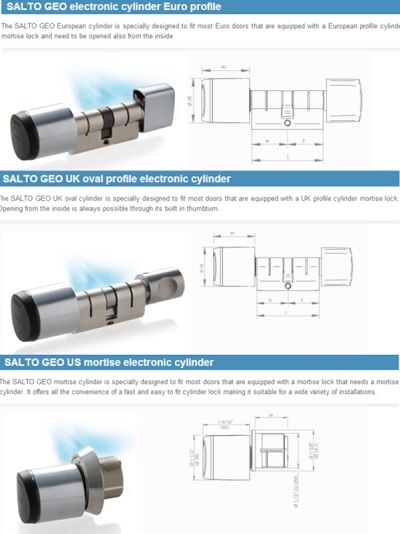 A 'lock profile' describes the basic shape of the lock cylinder, or the device that accepts a mechanical key. In some cases, geography is the biggest contributing reason for differences. 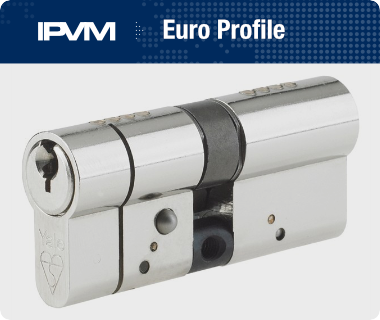 For example, 'Euro(pean) Profile' locks are almost never found in North American where KIK Lock or Mortise cylinders are predominantly used. In other cases, certain profiles have functional advantages that can be missed, and hardware is never designed to work with every type, so matching a lock to a specific set of handles or lockbody means noting one of these specific types. Increasingly in electronic access control, attention must be paid to the mechanical locks. With the emergence of 'stand alone' lock systems and retrofit solutions like Aperio, Salto, and other Digital Locks / eCylinders, new equipment must be purchased that works with existing keying systems and door preps. This requires even an electronic access focused tech to understand mechanical-only components like door locks. The risk of misunderstanding can range from incorrectly ordering product to specifying a solution that flat-out will not work. We examine the major types and their differences below. European locksmiths agreed on a 'standard profile' of door locks over 150 years ago. In general, standardization would make manufacturing and servicing locks easier, and the 'Euro Profile Lock' became the shape that was a compromise of several leading types. A key attribute is they are sold in 'dual cylinder' configurations - or rather, be made to lock with a key both from the inside AND outside of an opening - an orientation typically illegal in North America. Pros: Lock fits the deep, narrow doors common in Europe, some dating to Medieval periods. 'Modern' pin tumbler internals. Cons: The thin profile can be easily broken, and modern doors may not be deep enough to fully support the deep lock. As a result, many higher-end, higher security Euro locks are built with 'anti-snapping' design, where the lock may still be vulnerable to breaking, but defeating it to unlock it once broken is protected by internal locking bars or other wafers that freeze in place. This profile is a variation on the Euro Profile, but has limited use in N. America. Because the profile is wider, the lock is not as precise to machine and larger pins can be used inside, lowering the manufacturing cost relative to European Profiles. Pros: The larger profile makes the oval profile more difficult to break and tamper. Cons: However, the use of larger pins makes oval locks easier to pick than other types. 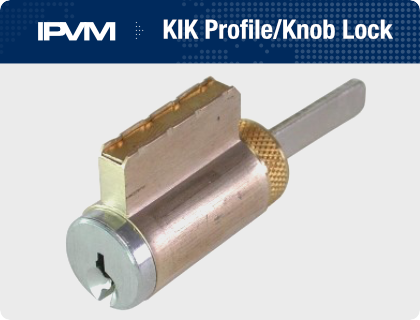 Called the 'Key in Knob' cylinder, this profile is common to modern commercial leversets and residential knob locks. While the 'core', or the part the key inserts into may be the same diameter as other lock profile, the rest of the lock is quite small and thin. If KIK locks are not installed into handles or knob and surrounded by metal, they are very vulnerable to being broken off. Pros: Very popular profile globally, and nearly every major keyway and hardware manufacturer supports the profile. Cons: Must be installed in a surface-mounted handle or knob, sometimes requiring complex linkages (tailpieces) interfacing with latches. Turning key to unlock doors can be difficult as a result. This type of lock is valued for its ability to 'rekey doors' quickly in the field. IC locks have a removable core (only removable with a special key) that fits into other similar lock cylinders. If a facility needs to rekey a door, they simply can swap cores, effectively changing the keys able to open the door. The entire process of swapping an 'IC core' takes seconds and is commonly used in 'Master Key' systems to minimize field repinning. Pros: Quick and rapid repinning of locks. "Temporary cores" can be installed that allow construction/cleaning crews access, but then changed at work completion by non-locksmiths. Cons: Authoritative management of keys and locks are required when using IC locks in large systems, or else big problems in key assignment can result. Due to size, IC cores cannot be installed in all locks. 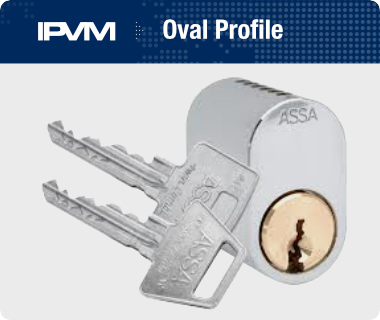 Taking the name from the 'mortise lockset' where it first was installed, this profile is essentially an 'American' standard profile and is used in many different types of locking hardware. Pros: Threaded housing is securely installed into a door, and is a substantial piece of metal that cannot be snapped/broken like the 'Euro Profile'. Cons: Because of their substantial size, mortise locks cannot fit every door and every lockset. The larger size also requires more base metal to manufacture, resulting in higher relative costs. The cost of these profiles range widely, depending on construction materials, security features, and branding. However, all but the 'high security' types generally cost $80 or more, while low-security mass-produced type often cost less than $15. 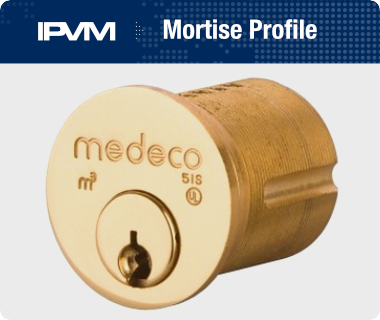 Lock cost is highly variable based on brand, keyway restrictions, master key system compatibility, and construction materials, with machined brass or steel alloys having a higher production cost than mass-produced stamped metal or metal-injection-molded materials. One of the most important elements of a lock is the 'cam' or 'tailpiece'. 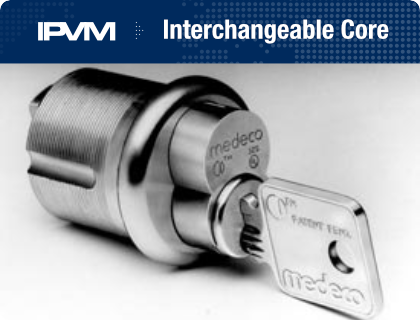 This piece of metal turns with the lock cylinder when a key is inserted and serves as the physical interface between the lock cylinder and the latches. Since every lock mechanism is different (dimensionally, action, latch configuration) the cam varies between lock types. Specific lock companies may have standardized on one or a few cams, but substantial variations are found between lock types. Usually, the lockset or leverset manufacturer will supply the proper cam/tailpiece with the product, but this element may need to be installed onto a lock cylinder during install. Regardless of lock profile type, this cam or tailpiece is generally secured with small screws into the core of the lock. No matter how advanced a mechanical lock claims to be, it will always be vulnerable to weaknesses. Some locks are less vulnerable or differently vulnerable than others, but given enough time and familiarity, any lock can be opened. 'Security', or rather 'minimal vulnerabilities' is one aspect of why the five profiles mentioned above have become 'standards'. These particular profiles have shown over time to be resilient against tampering or attack compared to other less successful designs. However, the videos below show that even these 'best in class' profiles can be exploited over time. For more on this vulnerability, see our Bump Key Crisis note. The profile of the mechanical lock is not always a factor in selecting EAC hardware, but for some systems it is critical. For a system using electric strikes or maglocks to secure a door, the mechanical lock profile is largely irrelevant. 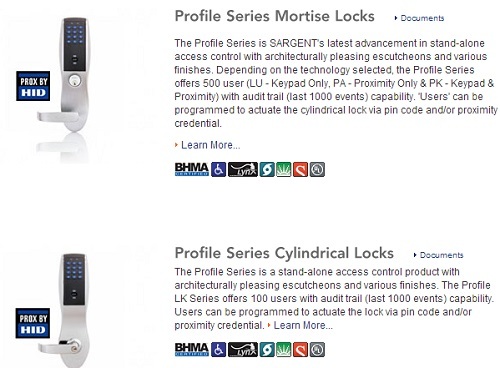 However, for 'stand alone' locks that replace or retrofit the entire lockset, the profile is a huge differentiator. These three parts each fit three separate locks, and are not interchangeable. Unless the designer or specifiers understands which profile is needed, an entire system can be purchased that is unusable. These locks are essentially the same units, with the only difference being which type of lock profile they use, here with 'KIK/Knob locks' being called 'Cylindrical locks'. If an end-user has a preference, and existing inventory of spares, or a particular keying system in use, ensuring the same lock is used in new units will prevent management and usability issues.